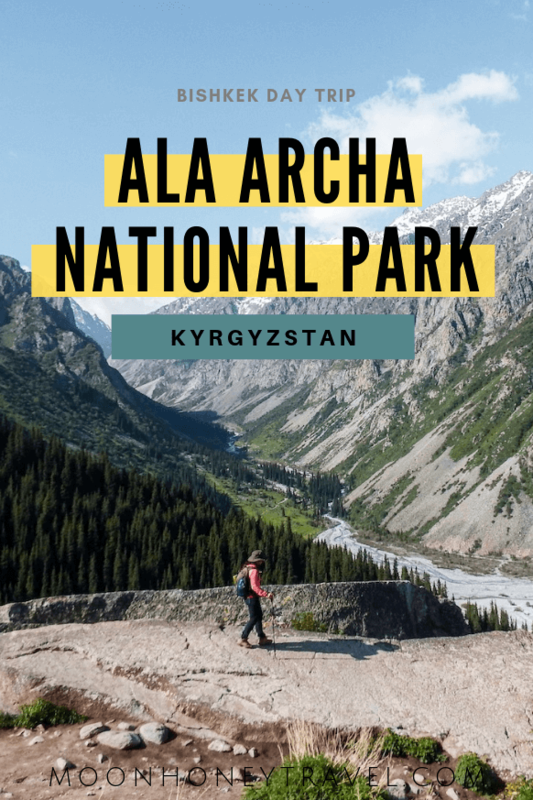 Ala Archa National Park is located around the Ala-Archa river gorge in the Tian Shan mountains of Kyrgyzstan. 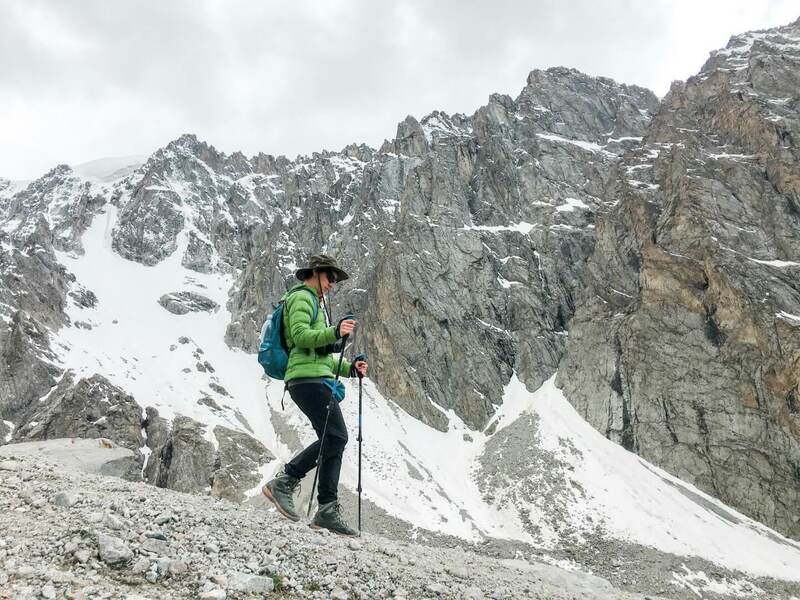 The park’s altitude ranges from 1,500 meters to 4,895 meters, making it a suitable destination for both casual walkers and serious mountaineers. 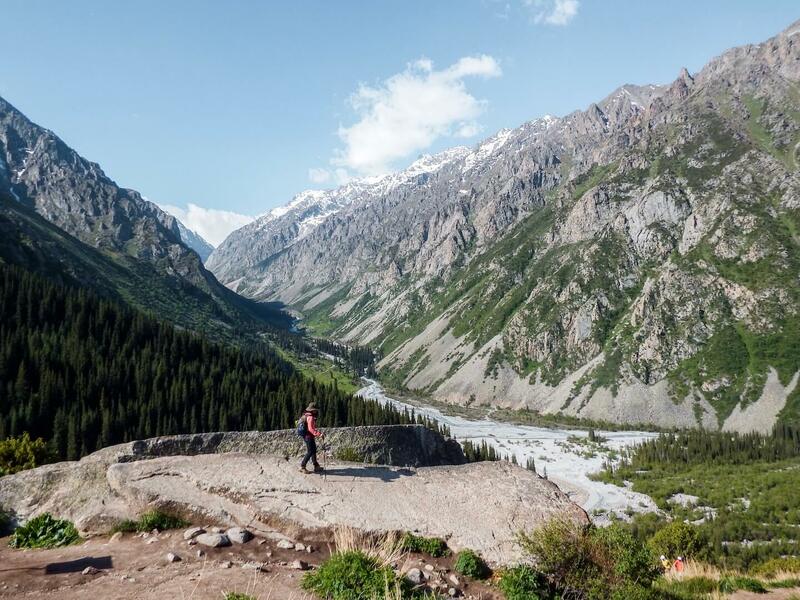 Situated only 40 km south of Bishkek, Ala Archa is a perfect day-trip destination from the capital city. We visited the national park in order to hike to Ak-Sai Glacier in early June, when the weather was mild and the meadows were carpeted in wildflowers. We were absolutely enthralled by the park’s breathtaking mountain scenery. The trails are well maintained and easy to follow, so you can hike here independently. There’s no need to book a tour; you’ll save money if you organize your own transit and bring your own snacks. 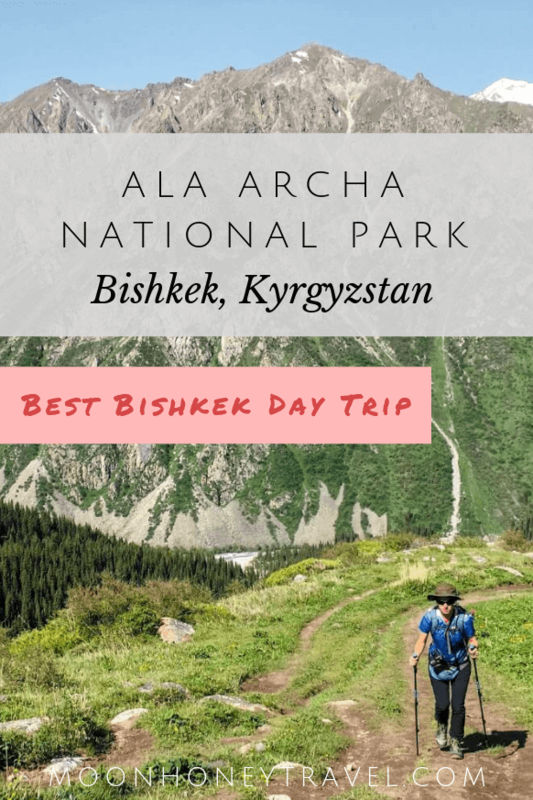 Continue reading to help plan the best Bishkek day trip. The most convenient way to get to the park and back is by organizing a taxi drop-off and pick-up (~2,400 som round-trip). We organized a 7:00 a.m. taxi directly through our hostel, Viva Hostel. 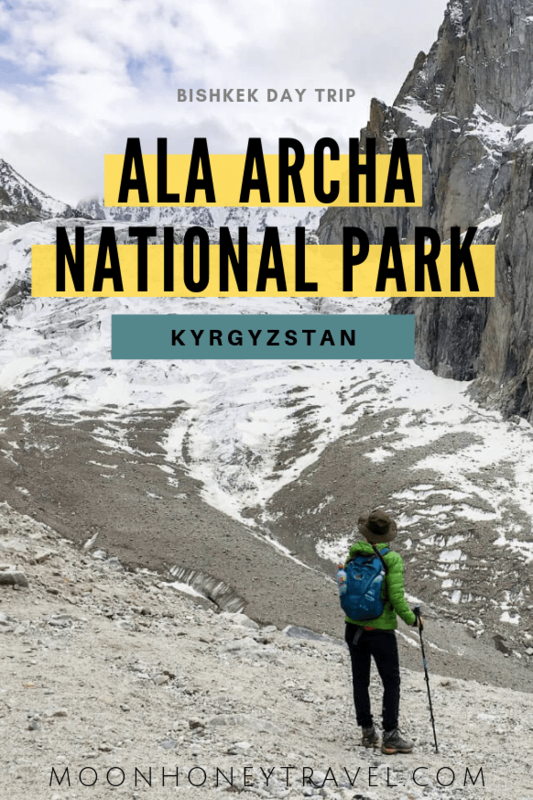 The Ala Archa park entrance is situated 12 km from the trailheads. At the entrance, you’ll pay the 450 som car entrance fee and then continue driving to Alplager, where you’ll see a red-roofed a-frame hotel and the hiking trails. The drive takes 50 minutes – 1 hour one-way. The cheaper option is to take mashrutka 265 (minibus) at the bus stop near the entrance of Osh Bazaar. The minibus will take you to Kash-Kasuu, the closest village near Ala Archa. You can ask the driver to drop you off at the park entrance gate for an additional sum. From the gate, you’ll pay the entrance fee (80 som) and hopefully hitch a ride to the trailheads (12 km). We decided against this option, because we wanted to get to the park at a certain time, so that we could hike 8 hours. We also didn’t want to worry about how to get back to Bishkek at the end of the day. After you pay the park entrance fee, continue driving 12 km to Alplager (elevation 2,200 meters), where you’ll get dropped off at the parking lot, near a conspicuous red-roofed hotel. The trails begin here. There are clear signs and maps indicating what your hiking options are. But basically, you can either go left or right. The trail to the left, “Ak-Sai Waterfall Trail,” leads you to a waterfall (2 hours) and then to the Ak-Sai Glacier (4 hours). The trail to the right is labeled “Ala Archa River Trail” and is considerably easier. 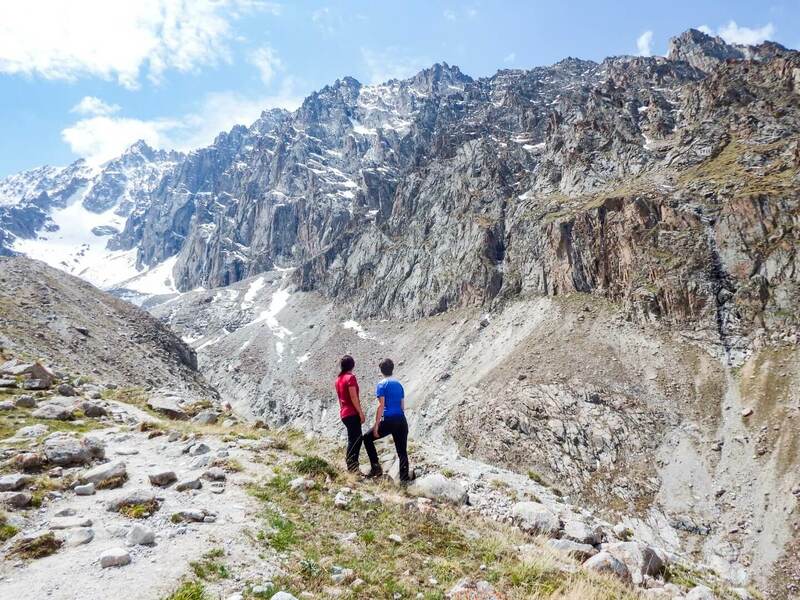 If you have sufficient time and are looking for a challenge, we recommend hiking to Ak-Sai Glacier. If you have less time and want to enjoy a leisurely walk and picnic (like the locals), opt for the River Trail. 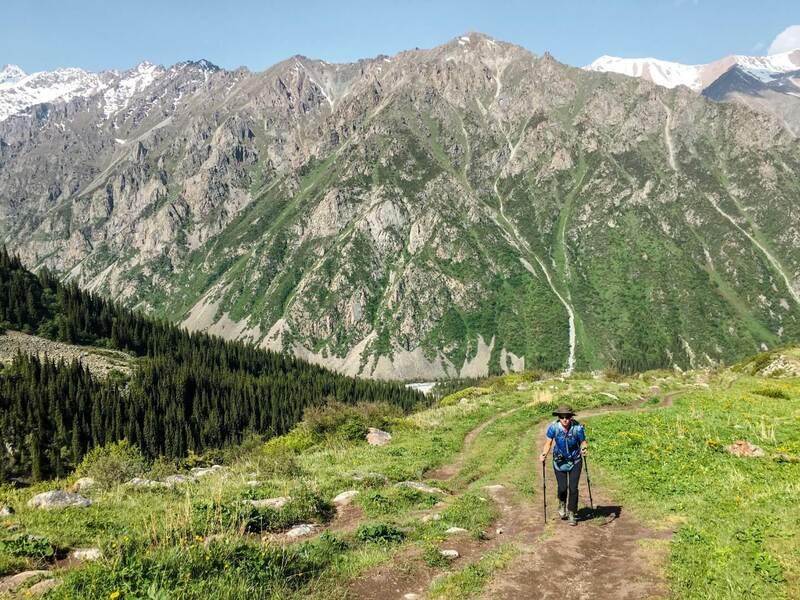 The trail to Ak-Sai Glacier is 6.4 km one-way and takes 4-4.5 hours. It’s marked by an occasional blue and white trail marker, but the footpath is clear. For further guidance, you can always refer to Maps.me. The trail ascends initially through the forest before reaching a marmot-filled meadow carpeted in wildflowers. In each direction, you’ll see beautiful mountains rise above the river valley. After hiking 2 hours (4 km) on a mostly flat trail, you’ll arrive at the waterfall camping area (elevation 2,665 meters). The trail doesn’t directly intersect the waterfall, so if you want a close-up view, you’ll need to venture off the trail. Next, the path ascends steeply for another two hours to Razeka station, elevation 3,300 meters. Here, you’ll find a mountain hut and camping area. As you approach Razeka, Ak-Sai glacier becomes increasingly more impressive. The best view of the glacier is from the ridge above Ak-Sai mountain hut. Razeka marks the end of the trail. 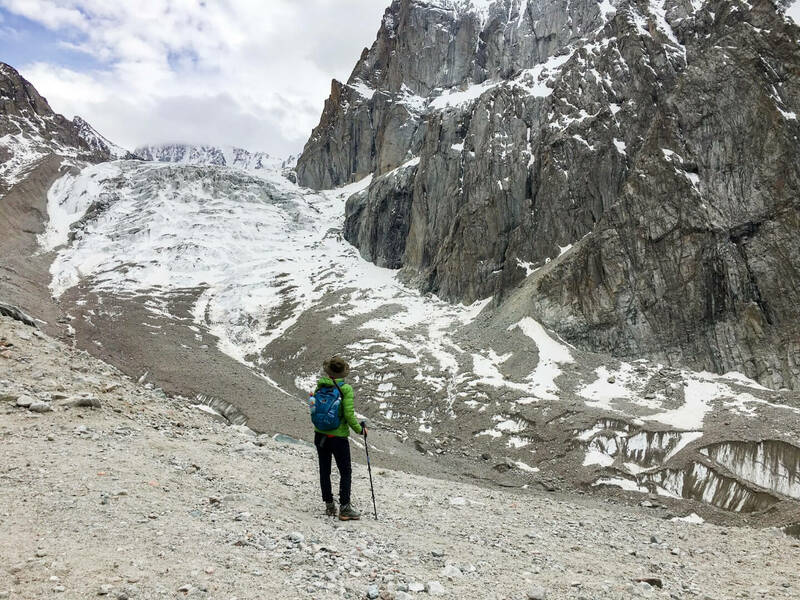 The hike to Ak-Sai Glacier is a doable day hike if you get an early start. However, you can break it up into two days, by overnighting in the Razeka camping area. Many climbers use this area as a base, before exploring the various peaks in the park. The total elevation gain for this hike is 1,100 meters. Given the altitude, it’s not uncommon to experience shortness of breath and even AMS (Altitude Mountain Sickness). We recommend drinking a lot of water and hiking at a slow, steady pace. Hiking poles will be tremendously helpful, especially for the segment between the waterfall and Razeka station. 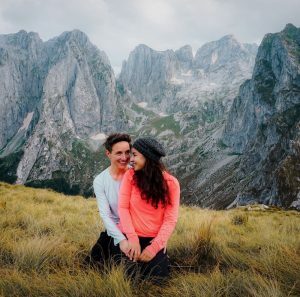 Planning on doing more hiking during your trip? 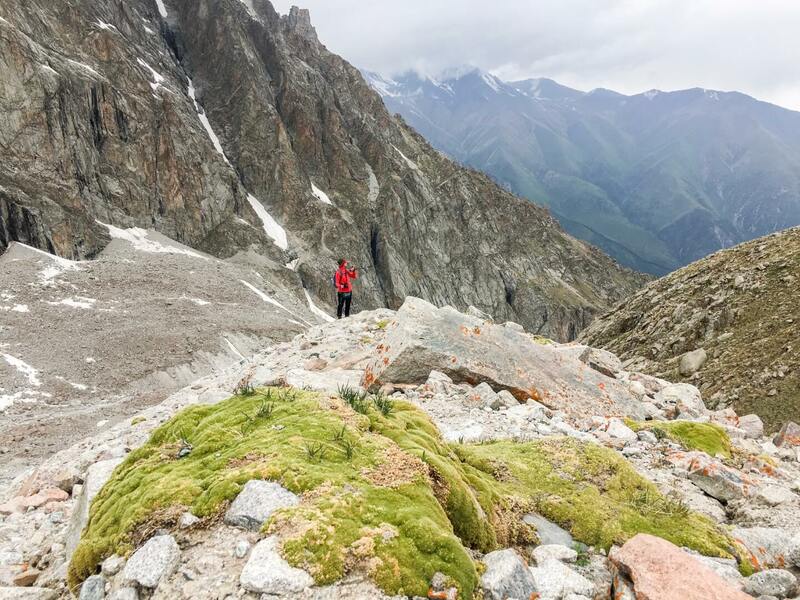 Read this fantastic hiking in Kyrgyzstan guide! Budget | VIVA Hostel is a clean hostel with very nice rooms and en-suite bathrooms. Breakfast is included, but it’s quite basic. Hot, or cold filtered water is available 24/7 and guests have access to a small kitchen. The hostel organized an airport pick-up for us for 9 USD. Viva Hostel is also located very close to Osh Bazaar. Mid-Range | Home Hotel Bishkek is a great value apartment located in the center of Bishkek. The apartment has complimentary drinking water, sweets, tea and coffee, and a fully-equipped kitchen. Luxury | Orion Hotel Bishkek is a business-style hotel located in the middle of Bishkek, close to many of our favorite restaurants and cafés. The hotel has a spa and fitness center as well as a bar. Orion Hotel also serves an excellent buffet breakfast.